A world-renowned herbalist and healer brings her wisdom to the world of forest therapy. 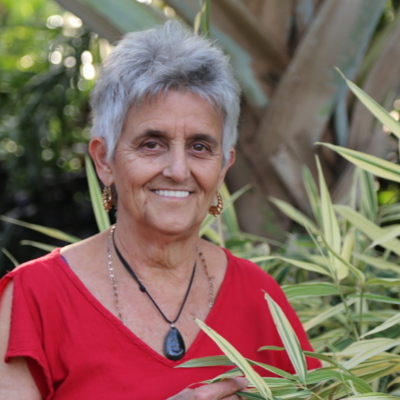 Dr. Rosita Arvigo, DN, a certified Forest Bathing Practitioner, (Cohort 11) author and international lecturer has been a practicing herbalist for forty years. She has written several books on medicinal plants of Belize where she currently lives. She was an apprentice to Maya shaman, Don Elijio Panti, for thirteen years. She is the founder of The ARvigo Technqiues of Maya Abdominal Therapy, Rainforest Remedies Herbal Company, The Belize Ethnobotany Project and Ethnobotany in the Classroom. Her latest book, The Urban Herbalist: Medicinal Plants of American Cities is a great resource for the Forest Therapy Guide to learn to identify and use common and tasty wild plants in the tea ceremony. Rosita's goal is to share her knowledge with you during this immersion week so that you will feel competent and confident in your selection of wild plants for the tea ceremony.